LONDON - Aegis, the Carat and Vizeum parent company, said today that it planned to cut 5 per cent of its workforce, around 780 staff, as part of a cost-saving programme. The UK workforce will see numbers reduced by 70. At the same time, the group posted a 25.7 per cent rise in pre-tax profits for 2008 to £166.8 million and a 21.3 per cent jump in revenue to £1,342 million. 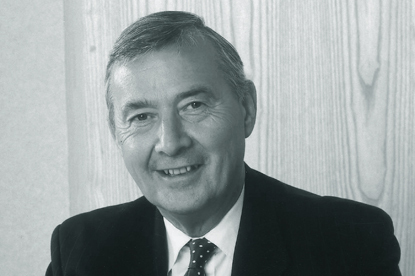 John Napier, appointed the interim chief executive in the wake of Robert Lerwill's abrupt departure, described the figures as "a good set of results in increasingly difficult market conditions". He added: "Obviously there is still more work to do but I am pleased with the progress to date." The group revealed a varying performance by its operating companies. Aegis Media's organic growth of 6.1 per cent was affected by Carat US, where revenue decline reduced organic growth by three percentage points. Synovate's net revenue was up 11.3 per cent. However, a weaker US performance was offset by a solid showing by Aegis Media in Europe and the Middle East, the group said. Asia-Pacific remained the strongest growth region. In the face of tough market conditions in 2009, Aegis said it had been forced to press ahead with a reduction of just under 5 per cent of its workforce across some 40 countries. "We are tightening up our organisation and have the management capability to react to market opportunities in adversity," Napier added. "We expect to produce a resilient performance in more difficult market conditions." Media Perspective: Can Napier reverse Aegis' fortunes at home and abroad?